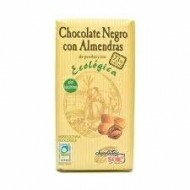 Buy Black Organic Chocolate with Almonds - Solé - 73% 5oz. Contains: Cocoa, Cocoa Butter, Cane Sugar, Almonds 23% and Organic Production Vanilla. Spanish Gourmet Products. 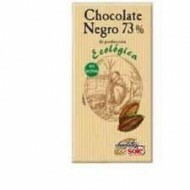 Buy Black Organic Chocolate - Solé - 73% 5oz. Contains: Cocoa, Cocoa Butter, Sugar Cane and Vanilla. Organic Production. Spanish Gourmet Products. 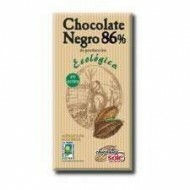 Buy Black Organic Chocolate 86% - Solé - 150g. Contains: whole Cane Sugar, Cacao Butter, Cacao 86%, natural vanilla extract. Organic production. Spanish Gourmet Products. 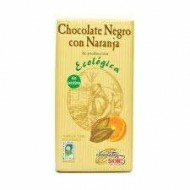 Buy Ecological Black Chocolate with Orange 56% - Solé – 5oz. Contains: Cane sugar, cocoa butter, cocoa 56%, orange oil and natural vanilla extract . Organic production. Spanish Gourmet Products. 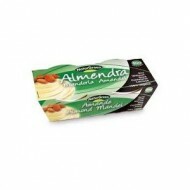 Buy Ecological Chocolate and Oatmeal Delicias, biodarma,4oz. Delicious oatmeal cookies with chocolate. 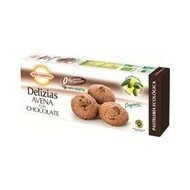 Cookies ideal for any time of day, with the properties of oats and chocolate energy. These cookies are 100% vegetable, contain no lactose, no egg, no artificial additives or preservatives and no hydrogenated fats. 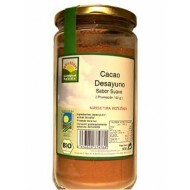 Buy Soluble Organic Cacao "Fair Trade" - Abellán - Ideal for breakfast Cacao mixed with milk or vegetable drinks, comes in 18 oz. jars and mild flavor. 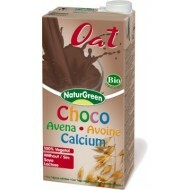 Cacao high nutritional power for its high content of vitamins, minerals and flavonoids. Spanish Gourmet Products.